A Songwriting Mystery Solved: Math Proves John Lennon Wrote 'In My Life' John Lennon and Paul McCartney have differing memories of who wrote the music for "In My Life." A mathematics professor has spent 10 years working with statistics to decide once and for all. Over the years, Lennon and McCartney have revealed who really wrote what, but some songs are still up for debate. The two even debate between themselves — their memories seem to differ when it comes to who wrote the music for 1965's "In My Life." If the songwriters' memories (perhaps tainted by the mind-altering era they were writing in) have failed, how can this mystery ever be solved? Well, we can get by with a little help from math. Mathematics professor Jason Brown spent 10 years working with statistics to solve the magical mystery. Brown's the findings were presented on Aug. 1 at the Joint Statistical Meeting in a presentation called "Assessing Authorship of Beatles Songs from Musical Content: Bayesian Classification Modeling from Bags-Of-Words Representations." Stanford University mathematician Keith Devlin breaks down how Brown figured it out. Read Devlin's edited conversation with NPR's Scott Simon below and listen at the audio link. Scott Simon: I don't understand "bags-of-words representations," although, I've sometimes been called a bag of words by some. Keith Devlin: We'll get to that. First of all, just to say that this is really serious stuff in terms of what was done. The three co-authors of this paper — there was someone called Mark Glickman who was a statistician at Harvard. He's also a classical pianist. Another person, another Harvard professor of engineering, called Ryan Song. And the third person was a Dalhousie University mathematician called Jason Brown. And you may recall back to 2008, you and I talked about him. 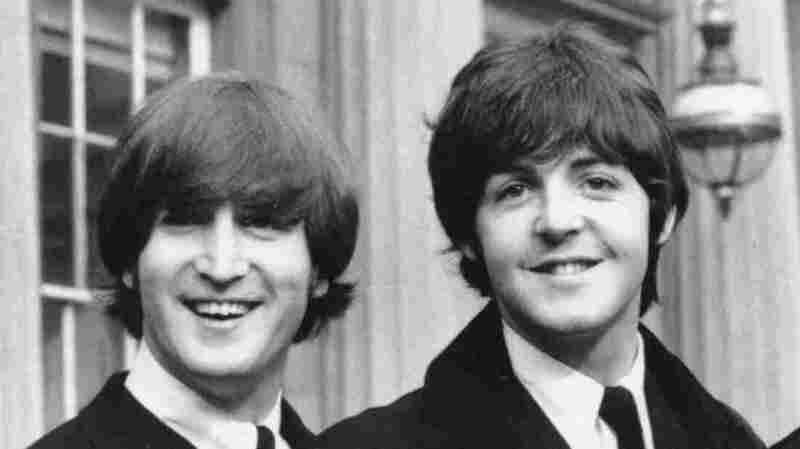 He figured out how The Beatles created that striking opening chord in "Hard Day's Night." And when we did that piece, I actually said he was working on who wrote the music for "In My Life." And 10 years later, here we are talking about the discovery. It took him a long time, but he's now got it. "Bags of words"? What are they? It actually goes back to the 1950s. It's used by the computer scientists who created spam filters. What you do is you take a piece of text, and you ignore the grammar, you ignore the word order, and you just regard it as a collection of words. And once you've done that, you can count the frequencies of the different words in the bag of words. To do it for music, you had to get little snippets, and the way they did that was the team analyzed, I think, about 70 songs from Lennon and McCartney, and they found there were 149 very distinct transitions between notes and chords that are present in almost all Beatles songs. And those transitions will be unique to one person or the other person. So they'd be bags of notes and chords. Cutting to the chase, it turns out Lennon wrote the whole thing. When you do the math by counting the little bits that are unique to the people, the probability that McCartney wrote it was .018 — that's essentially zero. In other words, this is pretty well definitive. Lennon wrote the music. And in situations like this, you'd better believe the math because it's much more reliable than people's recollections, especially given they collaborated writing it in the '60s with an incredibly altered mental state due to all the stuff they were ingesting. Keith, alright, I ask you — what about the artistic process of collaboration? Isn't it possible they were such close and accomplished collaborators that they inhaled a little bit of each other's technique and Lennon could write like McCartney and McCartney like John Lennon? For sure. And that's why it's hard for the human ear to tell the thing apart. It's also hard for them to realize who did it and this is why actually the only reliable answer is the mathematics because no matter how much people collaborate, they're still the same people, and they have their preferences without realizing it. Lennon would use certain kinds of things over and over again. So would McCartney. It was the collaboration. Those two things come together that works, but they were still separate little bits. The mathematics isolates those little bits that are unique to the two people.